Last week, I received a mail from Indian Top Blogs, saying to make a blog post regarding “Clean India” Campaign. It’s a small contribution to “Clean India Campaign” , which is been initiated by India’s PM, Narendra Modi. Here Am glad to share my views and pledge towards this grand initiative and linking this post to IndianTopBlogs. I request all my near n dear ones, friends, bloggers & all Indians to join the “Clean India” Campaign and lets keep our surrounding clean & green. 1. Government should give priority to the well-being and welfare of the people. 2. Citizens should come together to work hand-in-hand with the government. 3. Citizens should feel and practice civic obedience and patriotism. o Government should ensure and commit in inculcating self-sustainability, self-responsibility, civic obedience and sense of pride in each citizen. This is possible only through proper education and corruption free ruling. o Government should ensure and encourage the media in promoting and propagating only in the right direction. o Government should give priority to health, safety, environmental schemes. Wrong doing in implementation and corruptions should be handled with iron hand without red tape attitude and favoritism. Waste management and water management should be revamped. o Encroachments, irrespective of small or big, should be handled with stringent punishments; judiciary should be given real autonomous to ensure the same. o Proper and friendly education towards cleanliness, safety, public responsibility, friendliness, fraternity and use of public facilities can be undertaken by all the Government departments with the help of all the media. Major Corporates and celebrities can be used, because most of them want to do service to the nation, where from they got the fame and wealth. · Each citizen should feel and use public properties as our own; it should be in blood, which is only really called as “Patriotism”. · Before cleaning the existing litters, let us stop littering, spitting and making the public places unclean, shabby and unhealthy. · We should reduce wastages (let it be solid wastes and liquid wastes). Judicious usage of water will solve 25% of uncleanliness. · Each family, I feel, can join in this campaign of “Clean India”, by cleaning and keeping the surrounding of their houses that is more than enough. • I will clean and keep the surrounding of my house clean. • I will reduce leaving the solid wastes in dust bins. • I will use the water judiciously. 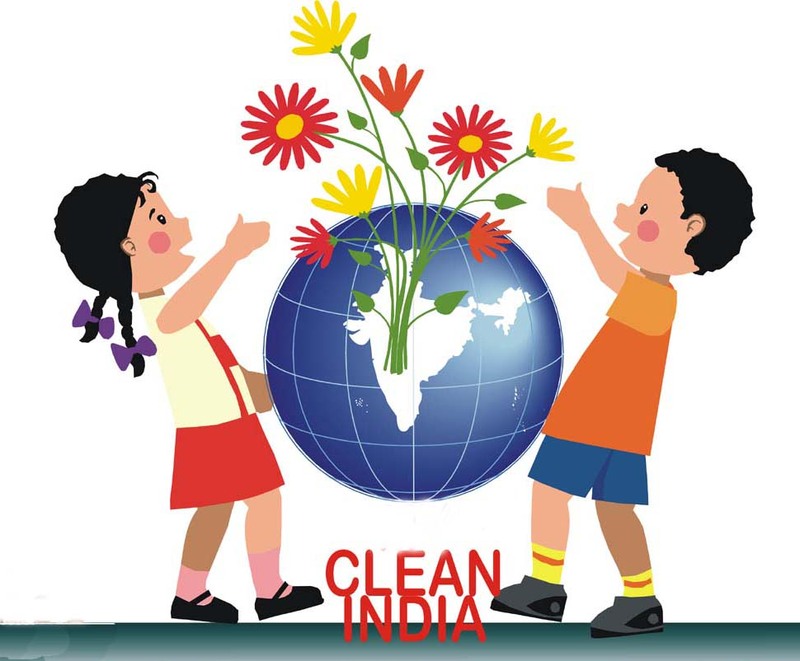 • I will inculcate cleanliness and civic sense in my kids. • I will use public properties with the sense of responsibility. • I will observe and obey all the civic rules including road safety rules. Thank You for listening and please leave your comments and share with your friends..! I think this is wonderful I have a friend visiting India and I wish I had thought of telling you before hand.